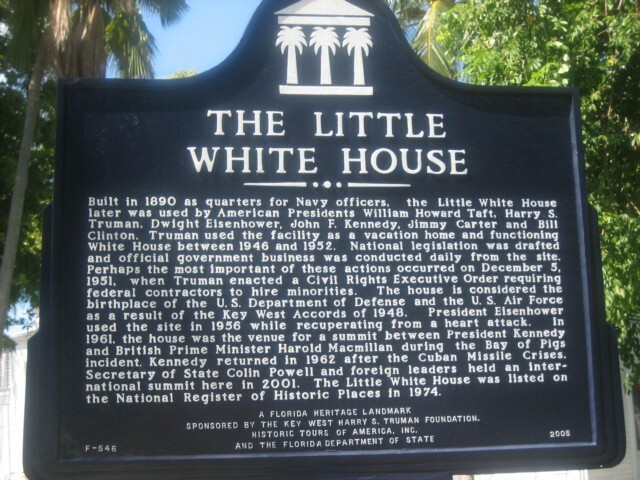 The Little White House is well worth a visit if you are spending some time in Key West. 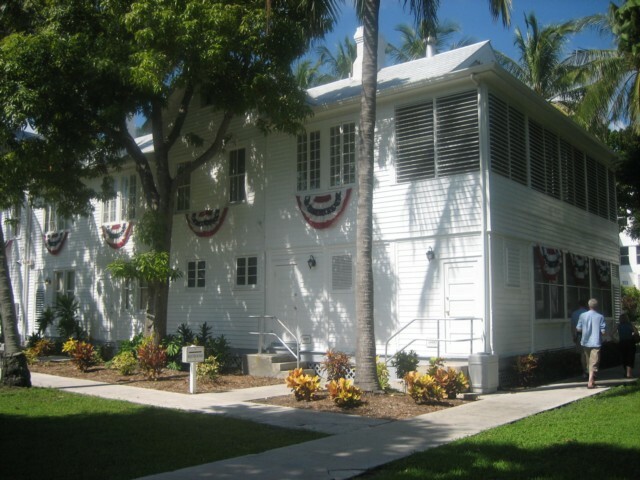 Originally the Little White House was the command headquarters of the Key West Naval station. Built in 1890, it was used for this purpose during the Spanish American War, World War 1 and World War 2. However, in 1946, the newly elected US President, Harry S Truman fell in love with the property and the location and turned it into a retreat and also a meeting place for world leaders. Today it can be viewed by visitors as it was in 1946. It is still, however, used today as a retreat by US Presidents, both current and former, and is also still used as a meeting venue for world leader meetings. Harry S Truman loved The Little White House and spent many happy times there. His wife and daughter accompanied him occasionally, but he often arrived there alone and entertained friends - particularly playing poker at a specially made table. Gambling at that time was a real no-no for someone with such a high profile and so the table was made in a way that enabled it to be reversed and look as though it was a normal table when not being used! Apparently one visitor who played poker with the President at this table was Winston Churchill. 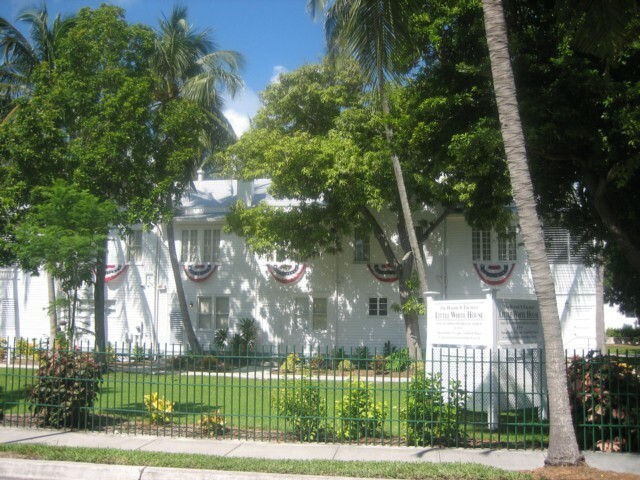 Harry S Truman loved Key West, and could often be seen driving around and mingling with the local people. The Little White House in as interesting glimpse into life over 50 years ago. The furniture is all original - you can see the bedroom where the President slept, his lounge where he relaxed, the dining table where he ate and also of course the poker table and bar area where he spent many happy hours! Today many former US Presidents and other politial dignatories use the home and recent visitors include Bill & Hilary Clinton, Colin Powell & Jimmy Carter. The House originally looked out onto the ocean - which seems quite unbelievable as there is a large building now between the house and the ocean! Land was in fact recaliamed many years ago - and I have to say I thought it was a shame that the original outlook has gone! There is a guided tour of the house, which is well worth doing and a musuem and exhibition detailing the history. All in all a very worthwhile visit - and will take at most between 1 and 2 hours of your time. Viewed 3444 times since 7 November 2009.